1940’s Department Store Fashion – Louisville. 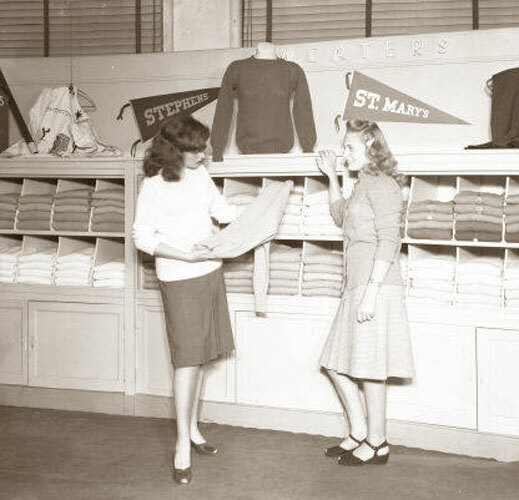 Deep in the heart of Louisville, Kentucky was the now long departed Kaufman Straus Department store which carried up to date women’s clothing from 1879 to 1969. 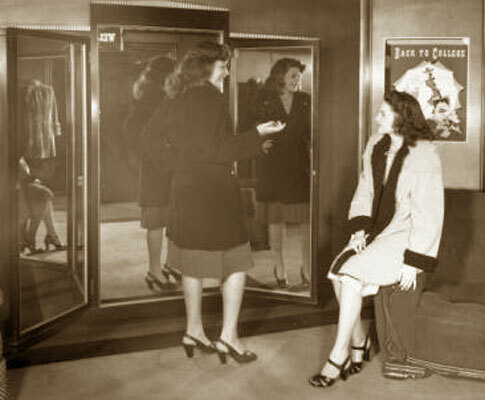 By the 1930’s and 1940’s – fashion shopping was a family affair where mothers,daughters,aunts and friends enjoyed the new ‘consumer boom’ in women’s shopping. 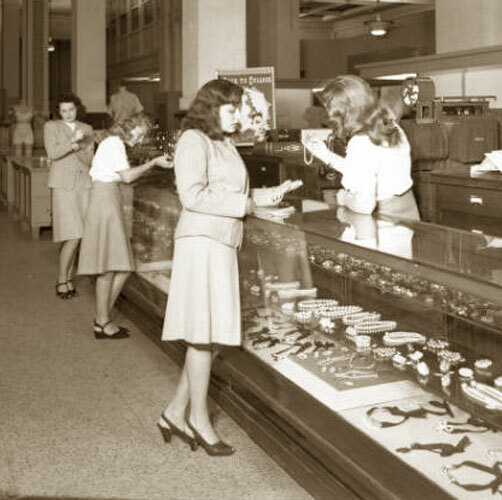 The freedom and choice was unique to the more affluent capitalist USA and these marvelous images from the University of Louisville Library prove it. 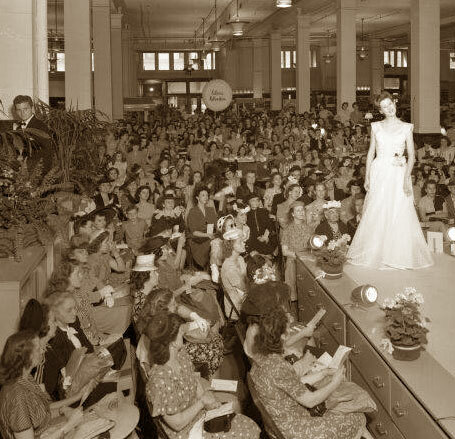 Like our earlier post on the Texan Department store Neiman Marcus – the photo’s tell the story like no narrative could, and like Neiman Marcus – the department store fashion catwalk was an integral part of the local calendar for women. 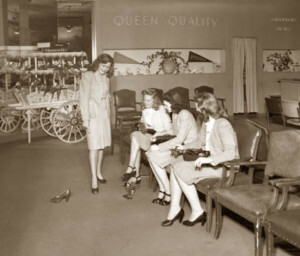 The glamour of those early days of ready to wear fashions are beautifully captured in these images. Visit the University of Louisville’s online library for loads more.